The apartments at Evergreen Ridge were constructed in 1987. In 2006, the property began a condominium conversion with a total of 37 units converted and 81 units remaining as apartments. 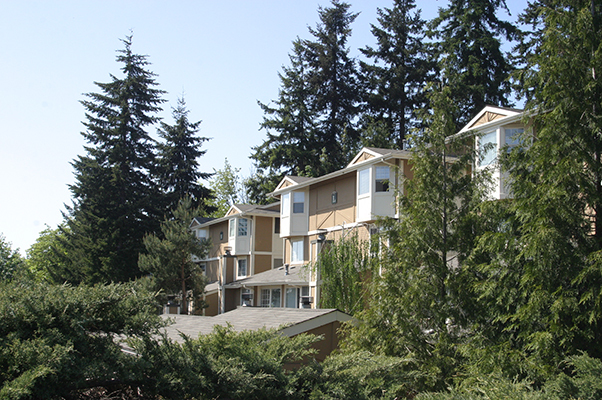 Evergreen Ridge Apartments was a challenging sale due to the partial condo ownership. It was a three-phase condo conversion; the second and third phases provided the majority of the apartments. The apartments had a shared use agreement with the condos for use of the pool and clubhouse. It also defined shared parking options between the apartments and condos. HFO Investment Real Estate sourced a buyer that could understand and manage the nuances of the shared use agreement and restrictions around the use of the common area. The buyer was also able to move quickly to preempt a lender sale of the apartments.